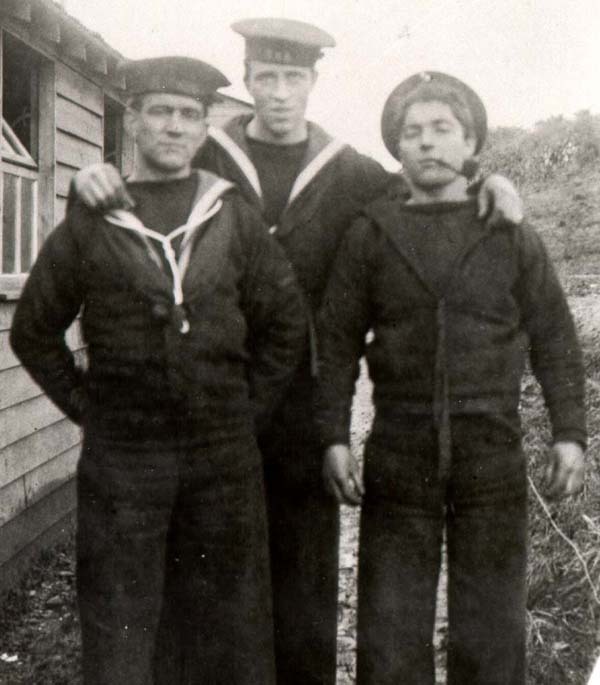 Sailors from Newfoundland and Labrador served in almost every flotilla and squadron of the Royal Navy during the First World War. They fought in the waters off Turkey, France, and the United Kingdom. They patrolled the North Sea, they guarded North America's coastlines, and they engaged in combat with Germany's U-boats and battleships. 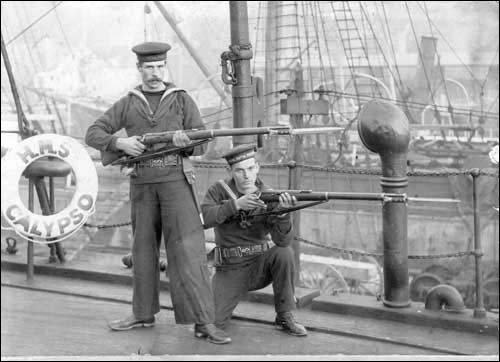 Royal Naval Reservists from HMS Calypso, n.d. Courtesy of the Rooms Provincial Archives Division (NA 1529), St. John's, NL. They were the men of the Newfoundland Royal Naval Reserve, and they served with such distinction and skill that they became known as the best small boat men in the world. Many of them were outport fishermen. They were used to working in the rough waters of the North Atlantic and they could handle almost any kind of ship, from the small dories and punts that fished in inshore waters to the larger schooners and decked vessels that sailed to the Grand Banks and the Labrador coast. They were equally at home on the powerful steamers that braved the North Atlantic ice floes every spring to hunt seals. Long before the war broke out, Britain's Royal Navy recognized just how much Newfoundland and Labrador's seafarers had to offer. It decided to recruit volunteers into a reserve force - a pool of well-trained sailors it could call upon in the event of war. Petty Officers of the Royal Naval Reserve, n.d. Courtesy of the Rooms Provincial Archives Division (F 46-25), St. John's, NL. In the fall of 1900, the British Admiralty invited 50 volunteers to complete a six-month training cruise aboard HMS Charybdis. The vessel left St. John's in November and sailed to the West Indies and back. Two more voyages followed over the next two years and they were such a success that the British and Newfoundland governments decided to station a permanent training ship at St. John's. HMS Calypso sailed into port on October 15, 1902. It carried a permanent compliment of 28 instructors, all from the British Royal Navy, and it could accommodate up to 300 volunteers. 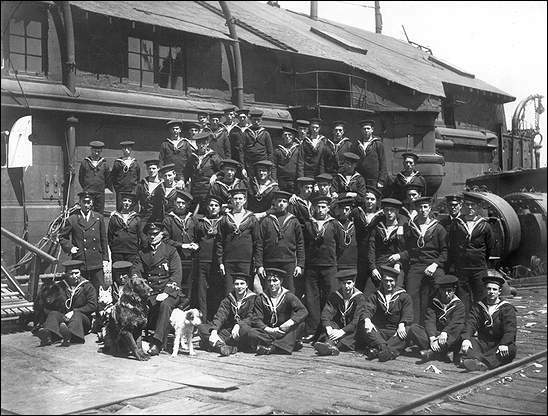 The Newfoundland Royal Naval Reserve accepted single men who were in good health, had seafaring experience, and were between the ages of 18 and 30. The upper age limit was dropped to 25 in 1909. The training ship for the Royal Naval Reserve, 1902-1922. It was renamed HMS Briton in 1916. Courtesy of the Rooms Provincial Archives Division (B 17-22), St. John's, NL. Most of the 375 men who volunteered in the first year were codfishers from Newfoundland's Avalon Peninsula and northeast coast. They signed up for a five-year period and agreed to report to the Calypso once every year for 28 days of training. The government paid the expenses of outport reservists who had to travel to and from St. John's for training. The men could complete their training at a time of their choosing, and almost everyone arrived at St. John's during the winter months, when the fishing season was over and the seal hunt had not yet begun. From "Newfoundland's Part in the Great War," The Book of Newfoundland, Volume I (St. John's, NL: Newfoundland Book Publishers, 1937) 439. The Royal Naval Reserve taught volunteers how to use rifles and heavy guns, how to handle ammunition, respond to shipboard emergencies, and carry out a wide range of naval practices. Reservists earned a daily wage while training aboard the Calypso and they accepted a retainer fee of about six pounds per year, which bound them to report to the regular Navy if it called them into action. 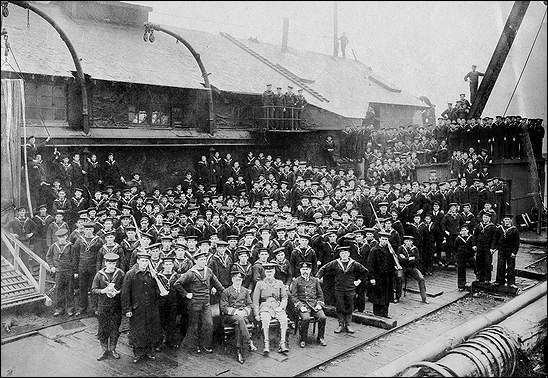 The arrangement was mutually beneficial - the reservists had paying work at a time of year when the fisheries were inactive and the Royal Navy had pool of experienced seafarers it could call upon in the case of war. That time came on August 2, 1914, when the British Admiralty summoned all reservists to the Calypso for active service. Britain declared war on Germany two days later. About 500 men were enrolled in the Newfoundland Royal Naval Reserve when hostilities broke out. There were concerns, however, that not everyone would respond to the call to duty. Courtesy of the Maritime History Archive (PF-319.227), Memorial University of Newfoundland, St. John's, NL. "This, it should be remembered, was during the height of the fishing season, and to be called away from their work at this time naturally entailed great hardship and serious financial loss to these poor fellows," MacDermott later wrote for the Book of Newfoundland. "The fishing season in Newfoundland is of short duration and during it the fishermen have to earn enough to keep themselves and their families for the whole year. 'You'll never get them!' I was told. 'You can't expect men to give up their livelihood for a war they know nothing about, and in which they have no concern.'" Taken at Holloway Studio (St. John's, NL) between 1915 and 1917. Courtesy of the Rooms Provincial Archives Division (E 43-16), St. John's, NL. With Britain at war, the Royal Navy suddenly needed as many sailors as it could get, so the Newfoundland government suggested that it double the size of the reserve to 1,000 men. London agreed. Enlistment requirements were broadened to encourage more people to sign up - reservists no longer had to have any previous seafaring experience and the maximum age limit was raised from 25 to 35. Approximately 660 volunteers came forward in the first six months, but about a third of the men were rejected on medical grounds. 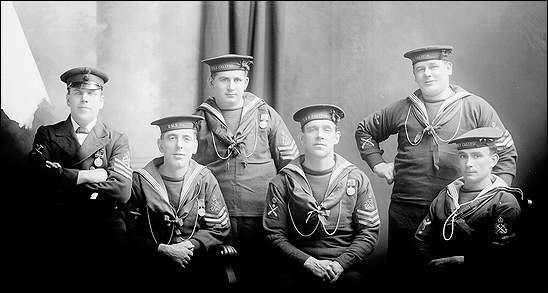 Sailors were the first people from Newfoundland and Labrador to see active service during the First World War. One month after hostilities broke out, 106 Newfoundland reservists were assigned to the Canadian Navy's HMCS Niobe. They searched the Strait of Belle Isle for German cruisers and spent 10 months patrolling the waters around New York and Boston. After the Niobe's boilers gave out in July 1915, the vessel was decommissioned and the Newfoundlanders were sent to Britain for reassignment. By then, the Newfoundland Royal Naval Reserve had reached its target of 1,000 men. New recruits were drilled on the Calypso in St. John's and then sent to England for further training. Courtesy of Darrell Hillier, St. John's, NL. Unlike the men of the First Newfoundland Regiment, who remained with their unit, reservists were dispersed throughout the Royal Navy. As a result, it is difficult to track their stories, or to link their actions to specific battles and events. They served on minesweeping trawlers near the British Isles and on armed merchant vessels, travelling to such places as India, Africa, South America, and Australia. Newfoundlanders and Labradorians served as gunners and deckhands, they landed ground troops in warzones, and they shipped desperately needed food and equipment to Allied ports. 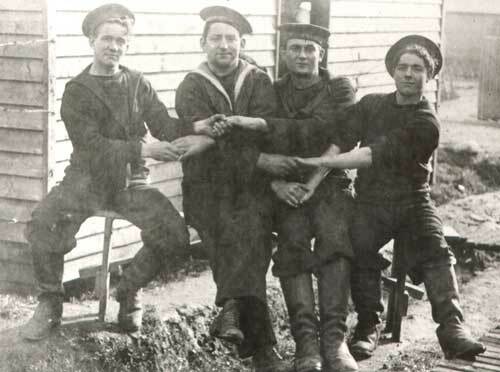 Royal Naval Reservists Philip Caines, Bob Bonnell, Peter Quirck, and Ernest Hillier, n.d. They also served on Q-boats - heavily armed naval vessels that were disguised to look like simple merchant ships or fishing boats. A Q-boat's job was to lure enemy submarines close enough to be fired upon. Of the 16 Newfoundland reservists who are known to have served on Q-Boats in foreign waters, only one died. Seaman John Joseph Power was killed on March 29, 1917 when his vessel collided with the SS Tainu off the Isle of Wight. He was 18 years old. Many Newfoundland reservists also served with the Royal Navy's 10th Cruiser Squadron. The unit formed at the start of the war to patrol the North Sea and the waters between the British Isles and Iceland. Its goals were to cut Germany off from overseas trade and to prevent its warships from entering the Atlantic Ocean. It was a dangerous patrol, marked by rough waters, heavy fog, and frequent gales. Enemy mines and torpedoes were other threats. The squadron suffered heavy losses. In mid-January, 1915, HMS Viknor sank near Scotland's northwest coast. All hands were killed. Early reports stated that 24 Newfoundlanders had died, but that number was later raised to 25. Courtesy of the Digital Archives Initiative, Memorial University of Newfoundland, St. John's, NL. About three weeks later, the armed merchant cruiser Clan McNaughton sank while patrolling the waters off Ireland's north coast. It was widely believed to have gone down in a heavy gale that struck the area on February 3. 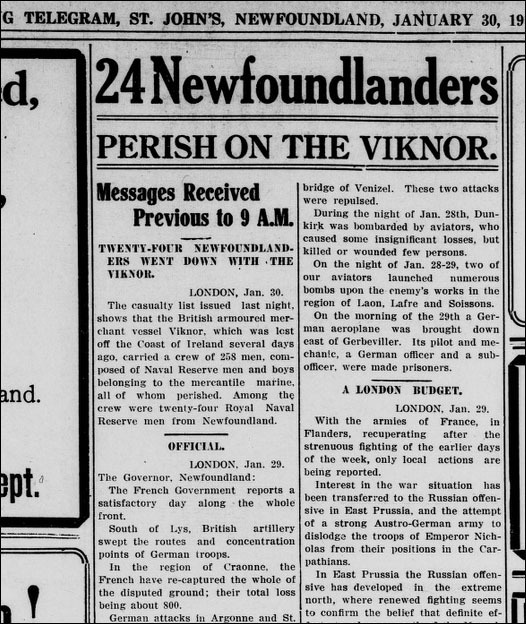 Among the dead were 22 Newfoundland reservists. Eleven more died on March 11, 1915 after a German U-boat torpedoed and sank HMS Bayano. 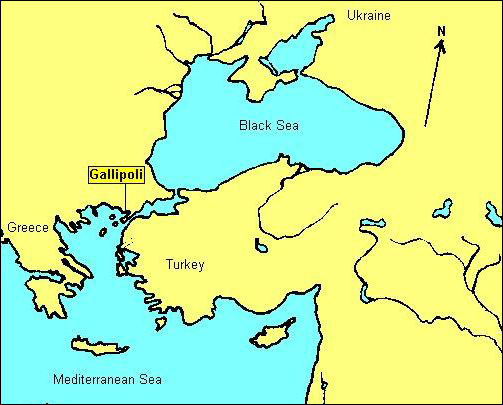 At around the same time, other Newfoundland reservists were fighting in the Mediterranean, near the Gallipoli Peninsula. The Allied Powers wanted to seize control of the peninsula from enemy forces, so they launched a series of naval and ground attacks in 1915. On April 25, they deployed thousands of soldiers to the area. They came by sea and it was the navy's job to ferry the men to the tip of the peninsula. Courtesy of the Royal New South Wales Lancers Memorial Museum, Parramatta New South Wales, Australia. 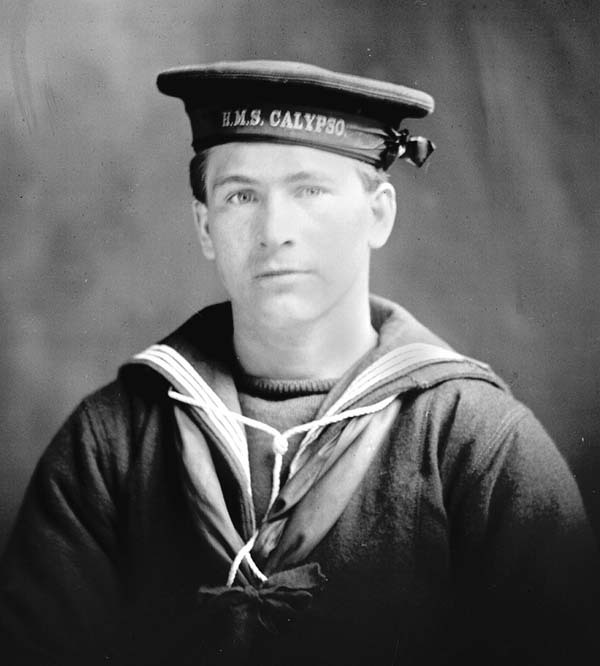 Newfoundland reservist T. Wells was one of the sailors who brought the soldiers to shore. As they approached land, the men encountered a devastating barrage of enemy fire. In addition to their service overseas, members of the Newfoundland Royal Naval Reserve also served at home. They formed a protective guard at the Admiralty station in Mount Pearl and manned a 12-pounder gun at Fort Waldegrave to protect the entrance to the St. John's harbour. Courtesy of the Rooms Provincial Archives Division (VA 58-21), St. John's, NL. 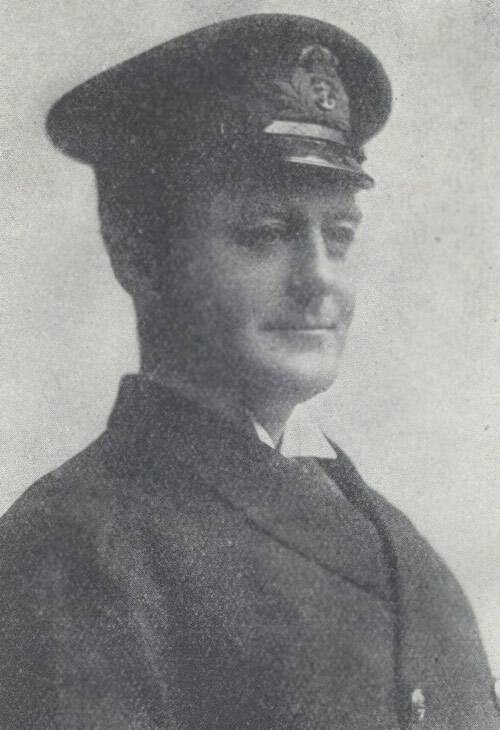 In 1915, Commander MacDermott created a Newfoundland and Labrador patrol to safeguard inshore waters and the Grand Banks fishery. 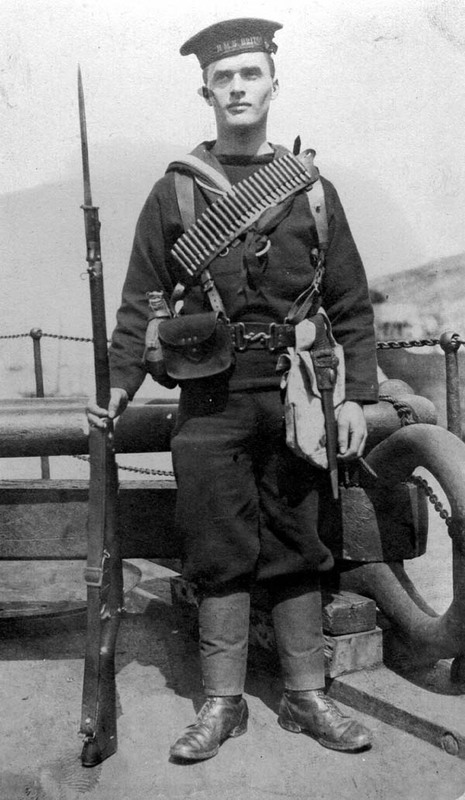 Coastal boats, like the Kyle, were manned by Newfoundland reservists and armed with guns from the Calypso. The vessels patrolled local waters for signs of enemy activity. Courtesy of the Maritime History Archive (PF-055.2-N66), Memorial University, St. John's, NL. As the war progressed, German U-boats became increasingly common in the western Atlantic. On October 8, 1916, one of them torpedoed and sank the SS Stephano off the coast of Massachusetts. 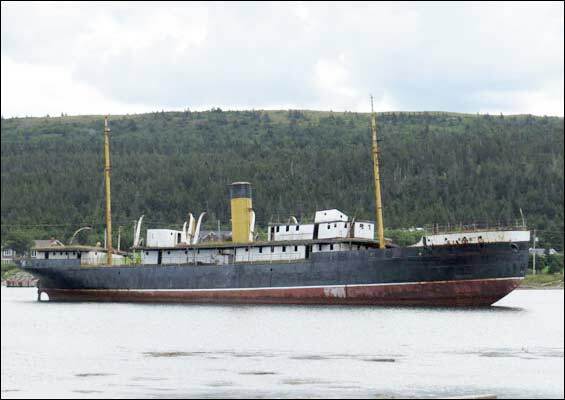 The Stephano was a Newfoundland steamer that had been carrying passengers from St. John's to New York. No one died in the attack and American destroyers rescued everyone on board. Another U-boat captured a Canadian trawler on the Grand Banks on August 20, 1918. Several other boats were attacked or seized in the vicinity over the next 10 days. But by then, the war had entered its final stages. The Allied Forces had launched their Hundred Days Attack, which ended in victory on November 11, 1918, when Germany signed the Armistice and fighting ended. It was finally time for the men of the Newfoundland Royal Naval Reserve to go home. More than 1,900 volunteers had served in the war and 192 had died. "At the close of the war, every man of the Reserve had completed his agreed period of service, and took his discharge, so the famous Corps was automatically disbanded and ceased to exist," MacDermott later wrote. 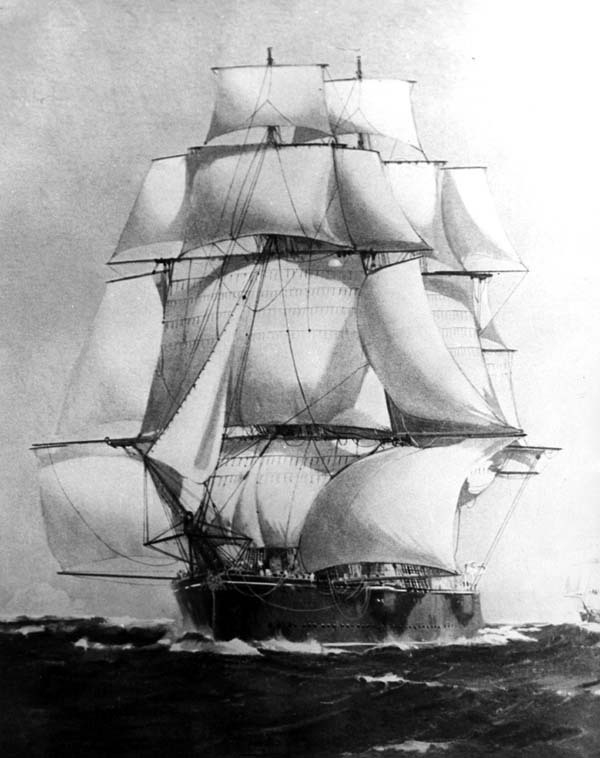 "The Calypso (now called Briton) remained in commission for some time, and it was at first hoped that recruiting might be reopened and the Reserve revived; but the money was not forthcoming, so the old ship was paid off and sold, and 'finis' had to be written to a not inglorious chapter in Newfoundland history."